Challenge: The Project Vanity Team tries Silka lotions for the first time! This story is brought to you by Silka. The Project Vanity girls are a little bit - ok, a lot! - like me when it comes to choosing their skincare products. We’re very particular about brands, to the point of sometimes being snobbish about what we pick out at the store. There is, however, one thing that trumps our brand-conscious nature: how effective and good the product actually is. It’s even better when it’s affordable! We’re no strangers to drugstore HGs, so when Silka asked the team to try their new lotions, we were game to find out what they had to offer. Here are some quick info on the two new variants! If whitening or evening out your skin tone is a priority, this new lotion is Silka’s premium variant. It features shea butter for moisturizing irritated and dry skin, as well as SPF23 for daily sun protection! It has a lovely cocobutter scent that’s almost edible. It’s 50ml / P41, 100ml/P70.25, 200ml/P124.75 at your favorite supermarkets and drugstores. If you’re looking for deeper, long-lasting moisture, this Silka lotion with avocado oil and almond milkcan give it to your skin sans the sticky, thick feeling. This has a creamy floral scent as well as SPF23! It’s a bit more expensive than the Shea Butter variant as this is 50ml / P45, 100ml/P77.25, 200ml/P137 at your favorite supermarkets and drugstores. Which one should you try? Here’s what the PV girls think of these new releases! We split them up into two teams: the Shea Butter Team (Marielle and Angela) and the Avocado Team (Den and Kim). They used the lotions for two weeks to see how their skin would react. They have previously never tried a Silka lotion before but, spoiler alert: they loved it! Personally, I am really enjoying the Shea Butter variant for everyday. I love the scent and the SPF23 the most, followed by how moisturizing yet light it is on my skin. Can’t beat the price too - I was previously using an SPF 24 body serum from another brand but the Silka one is like half the price! Will continue using it and keep it in my to-repurchase list. 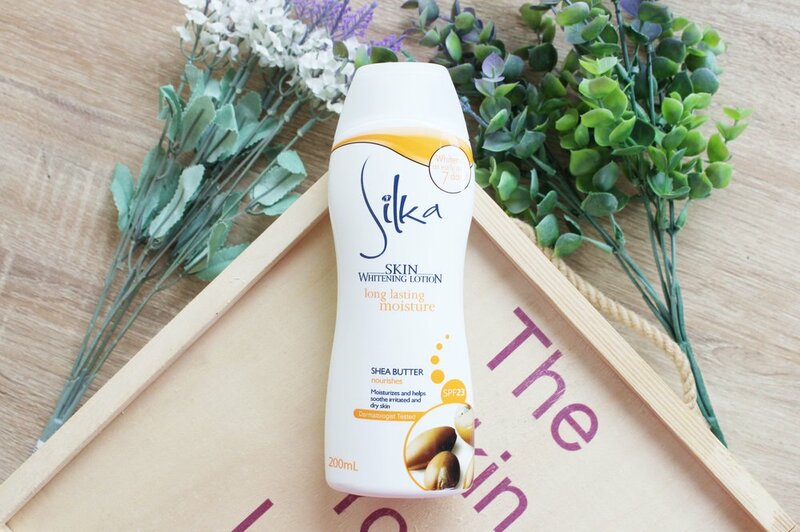 Have you tried Silka lotions before? How did they work for you?